The Shops at Montebello are gearing up for Black Friday & Holiday Shopping! Just last week the Shops at Montebello invited bloggers to a Holiday Preview Event and it was wonderful getting reacquainted with the mall and some new changes. 1. SANTA!!! The Shops at Montebello has a new Santa, he is very energetic & interacts well with children. Santa wants everyone to know that a visit with Santa does not require a photo purchase. All children are welcome to visit with Santa, enjoy some conversation, and share what is on their Christmas list at any time. 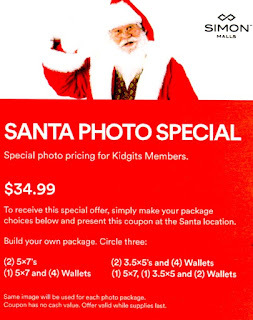 Photos with Santa start at $24.99, but Kidgits members can request a coupon at Guest Services for a special photo package that includes 3 sheets of photos for $35. Santa is available everyday. 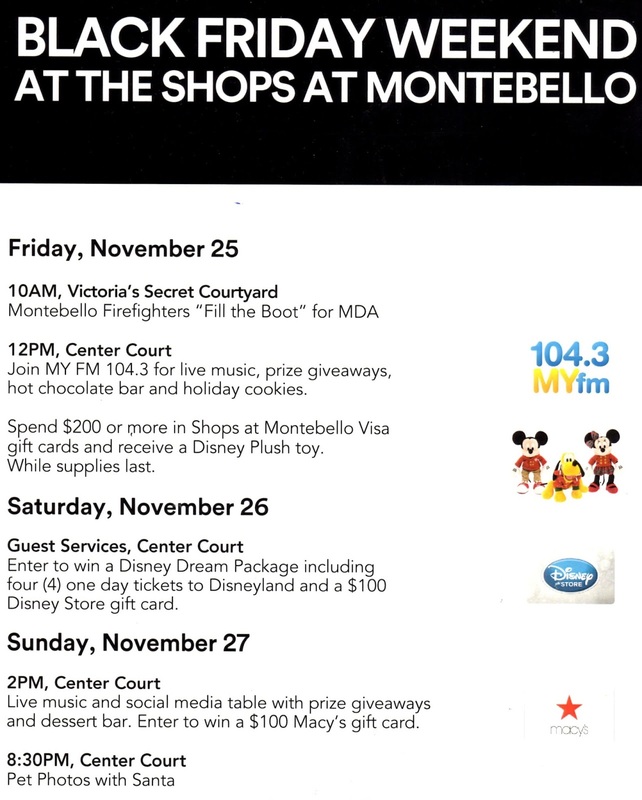 Contact Shops at Montebello Guest Services for Santa's hours. 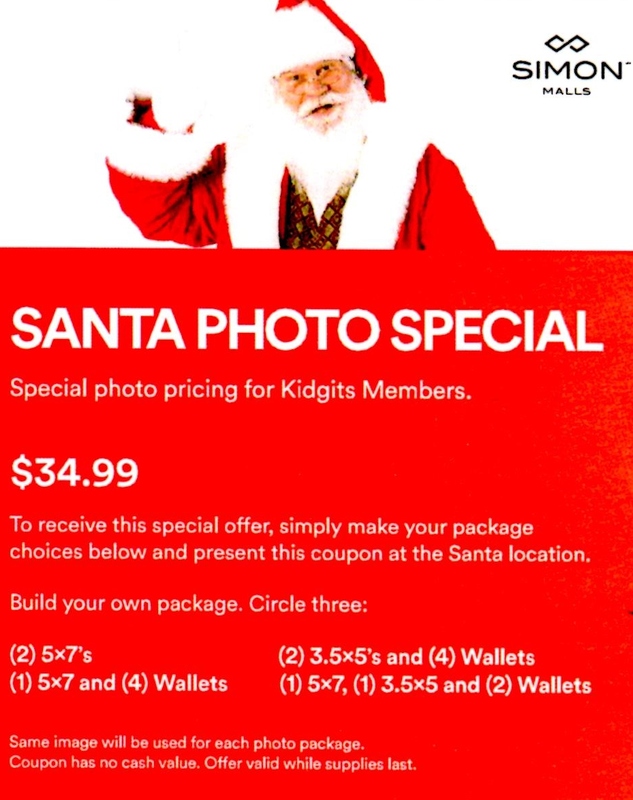 Kidgit Members can register to have Breakfast with Santa, parents can register their children in person at the Shops at Montebello Guest Services. 2. COTTON:ON NOW OPEN celebrated their Grand Opening this past Saturday and the big day featured a DJ, giveaways, and some of the most enthusiastic associates I've ever met. Cotton:On features comfortable trendy clothing and intimate apparel for men & women at reasonable prices. The store is headquartered in Australia and has locations worldwide. The Shops at Montebello's newest store is definitely worth checking out; with such a variety of clothing & accessories there is bound to be something that will catch your eye. Start browsing now online here, then stop by the Shops at Montebello to see it all in person! On Black Friday everything in store will be 40% off! The Shops at Montebello will be open Thanksgiving evening & early on Black Friday. Black Friday shopping couldn't be easier with ample parking, warm interiors, and every store offering sales & promotions to help you check off every loved one on your shopping list. During Black Friday guests can be entertained by live music, refreshments, and giveaways. Guests are invited to purchase a $200 Visa gift card, which is valid any place Visa is accepted, and they will receive a Disney plush of Mickey, Minnie, or Pluto! The fun continues throughout the weekend with a Disney Dream Package & Macy's gift card giveaway. Save some time navigating the crowds this Black Friday, read my top 10 Black Friday shopping tips here.